Due to unforeseen circumstances The Phoenix Foundation Auckland show on Friday 8 May has been moved to the Monte Cristo Room (51-53 Nelson St, Auckland CBD).Tickets already purchased will still be valid at the new venue. The Phoenix Foundation announce a ’10-show Nationwide Autumn tour’ on the back of the brilliant new video clip for their latest single '40 Years'. 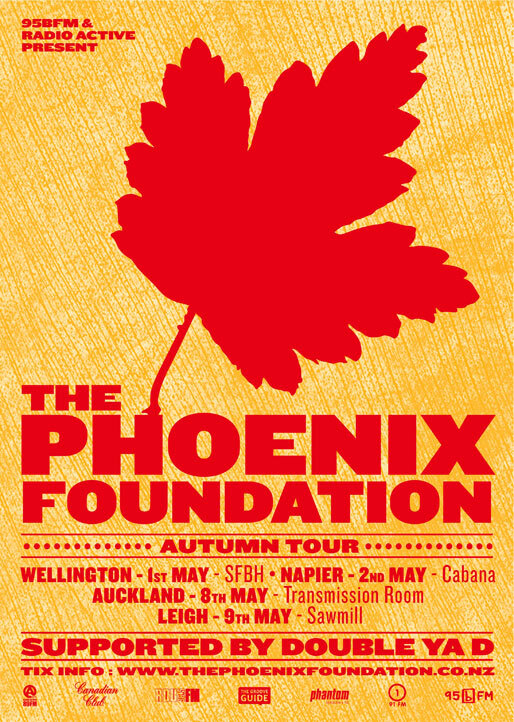 The Phoenix Foundation are pleased to announce their first full New Zealand tour since 2007. On the road, the band will mix songs from their three existing albums, plus a very special preview into the new material from their fourth studio album, due for release later in 2009. 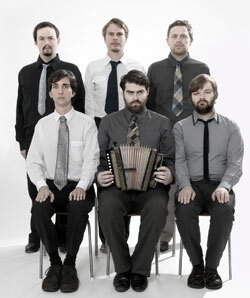 Starting in the top of the South Island, the band will move around the country playing their first shows in smallers towns like Oamaru & Golden Bay as well as covering the always supportive main centers. Support on the tour will come from the one and only ‘Double Ya D!’, as well as other random guests. The Phoenix Foundation recently released the video clip for '40 Years', the third single from their latest album 'Happy Ending'. Featuring jogging, singing, knight killing, death defying, wrestling, a horse, beach enigma and more, the hilarious clip is perhaps one of the best NZ music videos …. well … at least of the summer? The clip is another collaboration between The Phoenix Foundation and Taika Waititi who have worked together most notoriously on the video clip for Bright Grey, and Waititi’s feature film Eagle Vs Shark.